Discover the new Rosetta Stone. Now with more features than ever. 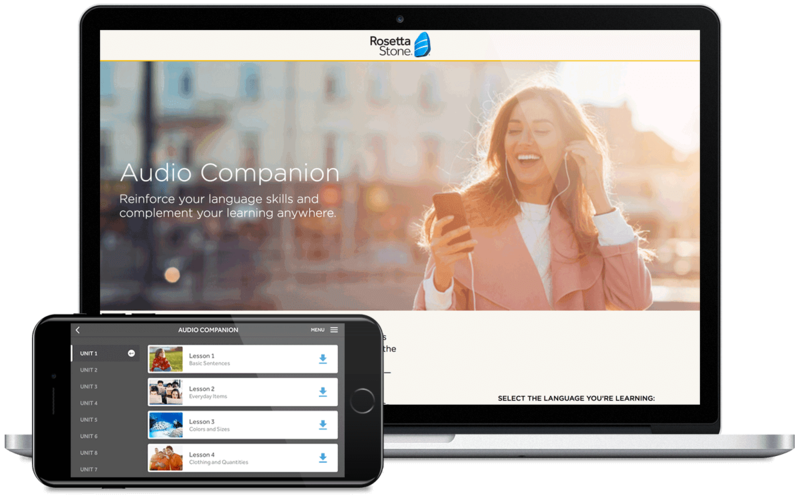 Would you like to receive product updates and marketing from Rosetta Stone (learn more)? Our immersion technique creates a unique language-learning experience. We introduce new words and concepts in sequence to accelerate the language learning process. 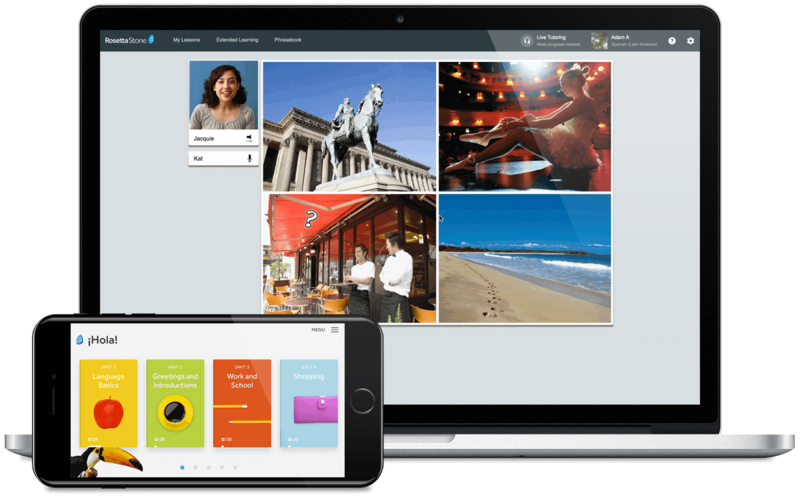 Enjoy anytime, anywhere learning with lessons that automatically sync across all your devices. Always know what to say with easy-to-access greetings, phrases, useful expressions and more—perfect for travelling! 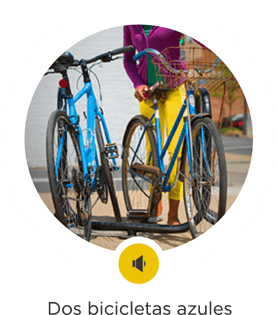 Conveniently listen and learn offline with downloadable audio lessons. Read and be read to: Listen to mini-articles and stories then read them back. 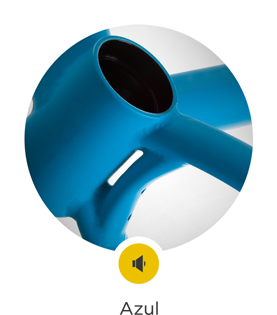 The pronunciation tool gives instant feedback as you read aloud. 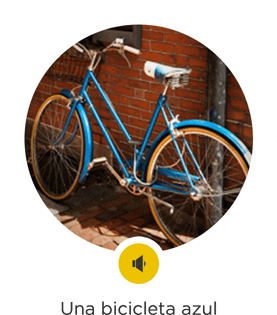 Perfect your pronunciation and sound like a native with our accent training technology. Speak confidently in real time with native speaking tutors who will help you master the art of conversation. & millions of learners worldwide. Fantastic! I have really enjoyed learning Spanish with Rosettastone. The lessons have been easy to fit into my busy lifestyle and doing the on-line tutorials with other students and Simy our lovely tutor have really helped bring the whole experience to life. I have enjoyed playing the games and reading stories. A fantastic way of immersing yourself in the language - a great way to learn. 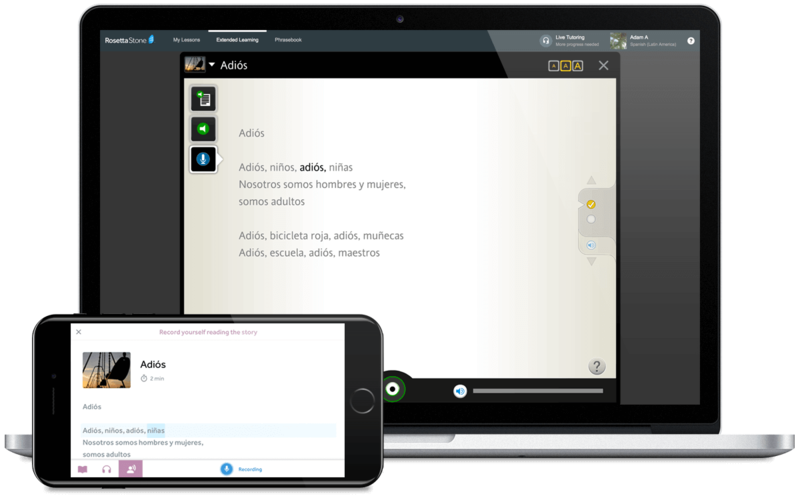 I'm learning Spanish with Rosettastone and I'm really enjoying the experience. I've always liked the idea of being able to speak another language and, since I regularly holiday in Spain, felt that Spanish would be ideal for me. 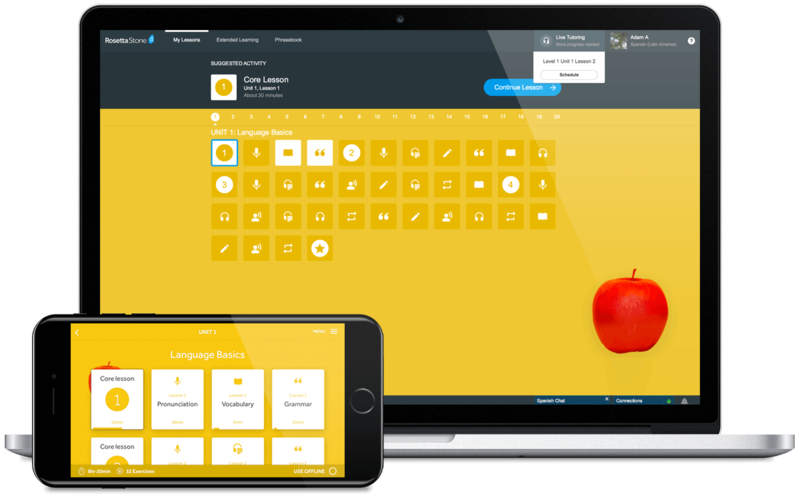 Having had a pretty poor experience of being taught French when at school I had some initial reservations but am pleased to say that Rosettastone has been a great experience for me! I like the way in which it is presented, it's flexible for me to work around my busy work and social life and easy to review lessons which I feel the need to spend more time on. Additional exercises in reading and speaking on line with other learners and native speakers of the language is also great. I'd recommend this way of learning to anyone. How does the speech recognition tool work? 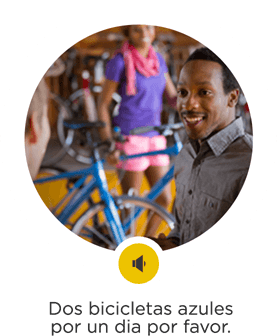 Rosetta Stone gets you speaking a new language with confidence. The speech recognition software makes you speak out every syllable of the words and phrases you learn. What’s more, it gives you instant feedback, displaying the words as you speak them and asking you to repeat the word or phrase if you don’t get it right first time. Can I use Rosetta Stone on my smartphone and tablet? Yes you can. Rosetta Stone online is available on a mobile app that you can download in the Google Play or Apple app stores. This allows you to use Rosetta Stone on your mobile phone or tablet. You can even download lessons in advance and then learn, on the go, without an internet connection. 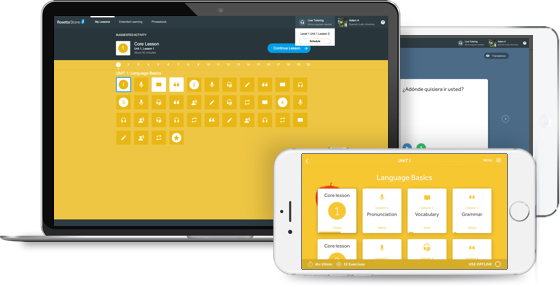 Your online Rosetta Stone account is synced across all your devices, Desktop and Mobile. How does the online tutor session work? Live Tutoring allows you to practice your new language for real. These live sessions are 25 minutes and led by a Tutor who is a native speaker. Your Tutor knows exactly what progress you've made, and the session will take place entirely in your new language. There are a maximum of 4 participants in a tutor session. How can I learn a language without translations? Rosetta Stone uses a methodology called immersive learning that works only with the language being learnt. It teaches you to associate words and sounds with pictures and situations, mimicking the experience of being in the country. This is just like you learnt your first words as a child. The immersive method gets you to think in the new language, gets you familiar with the sounds of the new langauge, and helps you to speak your new language with confidence. Includes 30-Day, No-Risk Money-Back Guarantee.